Mode of application: Mix the whole sachet (5 g) with 100 ml or room temperature water until complete dissolution. Take morning and evening sachets at the appropriate time of the day 20 minutes before eating. The duration of use is not less than 1 month. Repeat the therapy in case of necessity. Active ingredients: Morning drink - active ingredients: Grapefruit Fruit Extract, Chromium Picolinate, L-Carnitine, Alpha Lipoic Acid, Cherry Fruit. Evening drink - active ingredients: Matcha Tea, L-Arginine, L-Carnitine, Lemon Balm Herb Extract, Vitamin В6. Consist: Morning drink - ingredients: Maltodextrin, cherry fruit, L-carnitine, fruit extract of grapefruit, alpha lipoic acid, chromium picolinate, grapefruit flavor. Evening drink - ingredients: Maltodextrin, matcha tea, L-arginine, L-carnitine, extracts of lemon balm herb, vitamin В6, green tea flavor. 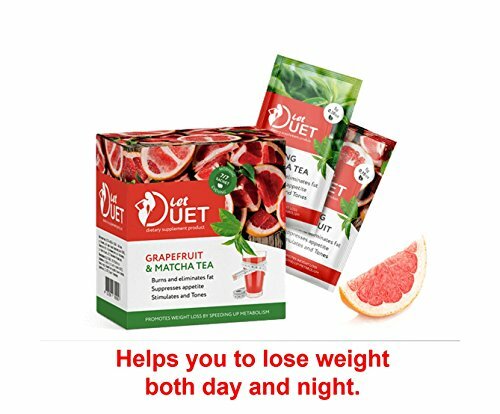 Two phase drink based on natural ingredients for weight loss and appetite reduction that helps you to lose weight both day and night. Morning drink - helps to speed up metabolism, reduce appetite, burn fat, giving energy for the whole day. Grapefruit contains a lot of fiber that helps control calorie intake during the day. Evening drink - supresses appetite in the evening and at night, prevents fat deposition during sleep. Matcha Tea helps to normalize the metabolism. It is also a great source of antioxidants, helps to boost the immune system and increase stamina. Lemon Balm Herb Extract calms the nervous system. The drink is rich in vitamins that helps to improve the overall condition of the body and elevates mood. If you have any questions about this product by Hendel`s Garden, contact us by completing and submitting the form below. If you are looking for a specif part number, please include it with your message.